Pioneer of the RA Armed Forces, renowned military and public figure, Colonel-General Gurgen Dalibaltayan passed away on September 1, 2015. 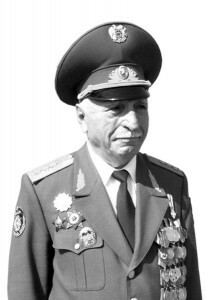 Gurgen Dalibaltayan was born on June 5, 1926, in Georgia, the Great Aragyan village of the Ninotsminda region. 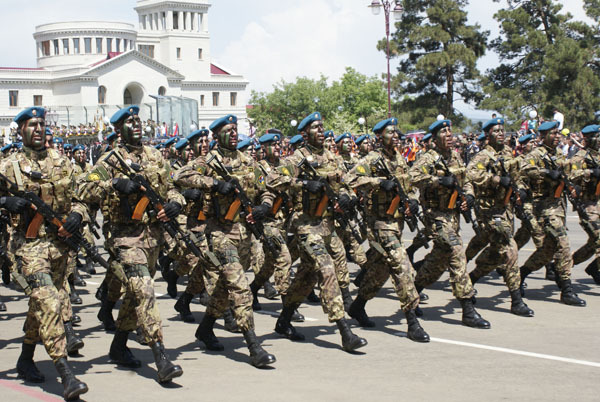 In 1947, graduated from the Infantry School in Tbilisi. In 1958-61, studied at Frounzeh Military Academy. He served in the USSR Armed Forces from 1947 to 1991. 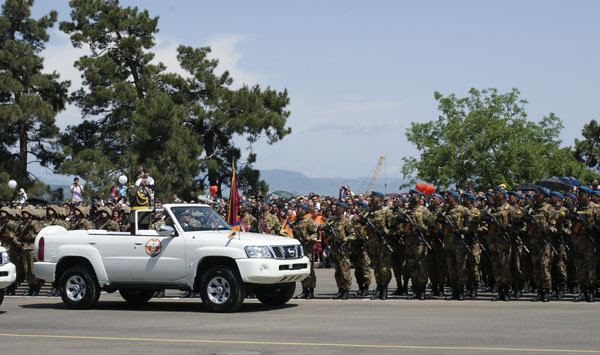 General Dalibaltayan also occupied multiple commanding positions in Echmiadzin, Yerevan, Perekeshkul, Prishib, Kirovabad, Abakan and Rostov-on-Don. 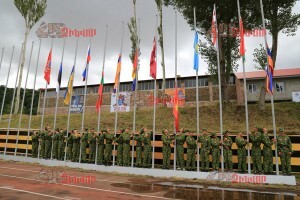 On August 27, the solemn closing ceremony of the Gathering of military-sports organizations “Union 2015: Heirs of the Victory – Armenia” was held. 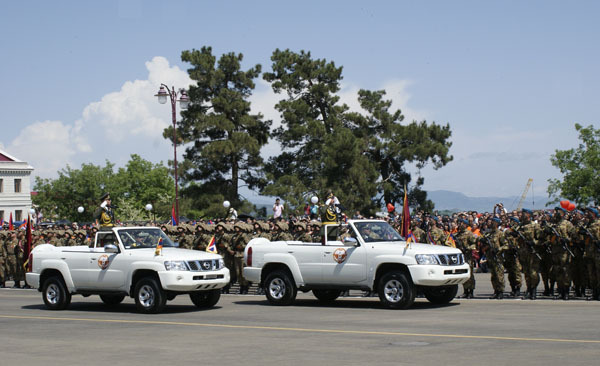 The event was attended by the Minister of Defense of Armenia Seyran Ohanyan, who personally presented the awards to the winners. This year there were 92 applicants to the faculty, 30 were admitted, of which 70% received 36 or more points, two got 39,25. That’s pretty good result and talks about that the best high school graduates come to the Military Medical Faculty. 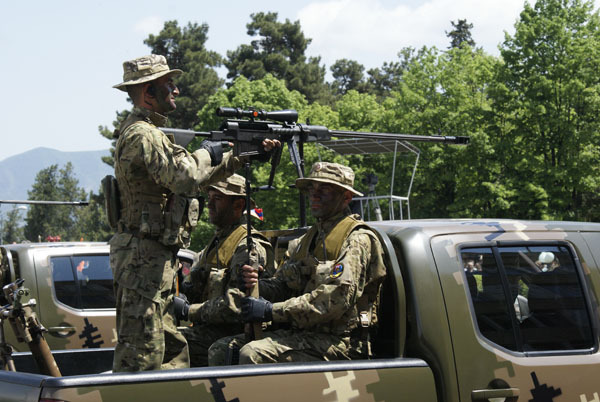 And it also suggests that for them the main thing is not the free education but the desire to become a military doctor. 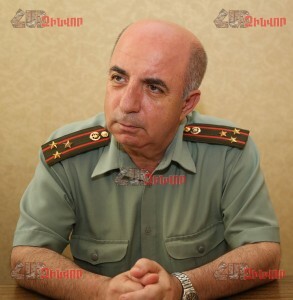 The commander of the air defense military unit is Lt. Col. Karen Darbinyan. 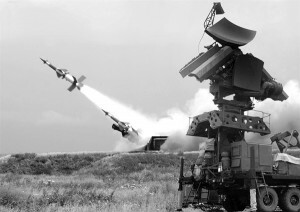 The task of the division under the command of Lieutenant Colonel Vachagan Ghazaryan is the safety and protection of the security of our airspace from the enemy offensive. 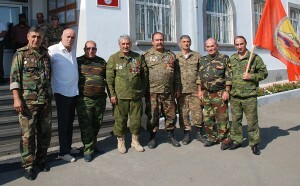 In November 2014, during the joint exercises of RA Armed Forces and Army of Defense of NKR in Artsakh, the division completing 100km hike, fulfilled the task and was encouraged by NKR President Bako Sahakyan and head of the General Staff of RA Armed Forces, Colonel-General Yu.Khachaturov. 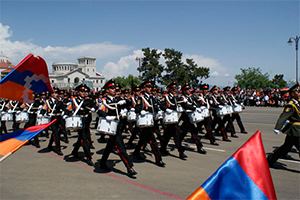 The military unit under the command of Lieutenant Colonel S.Khachatryan marks 21-year anniversary. 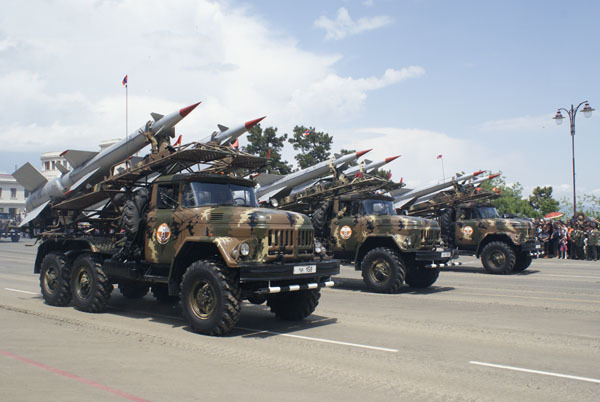 In the early 1990s combat support units were formed – tank company, anti-aircraft and artillery batteries. 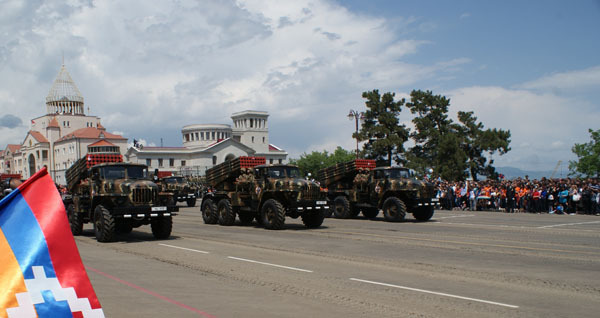 On August 30, 1994, by order of the RA Defense Ministry with the unification of these units the military unit was formed.